A company in the Steinbeis network. 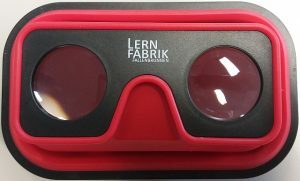 We invite you to a tour of our learning factory in virtual reality! - for Android smartphones the app "360 Sphere Viewer"
- for Apple smartphones the app "VR Photo Viewer Cropper"
Tip: This works best with one of our learning factory Fallenrunnen VR glasses, but of course with every other VR glasses.